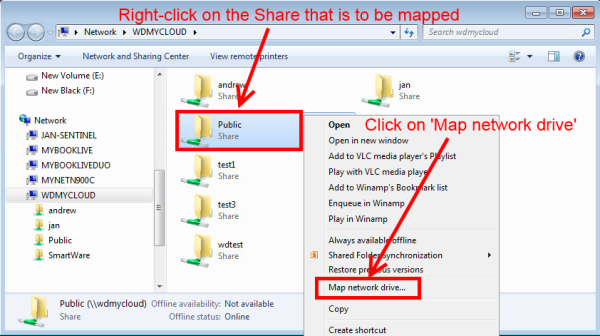 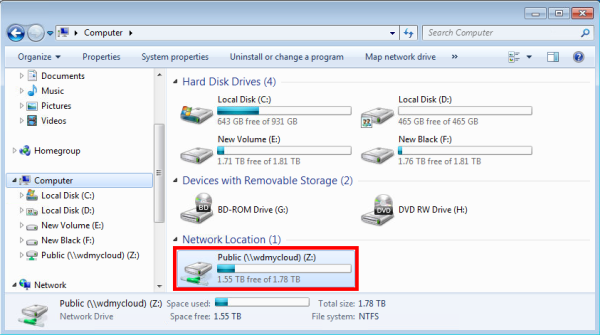 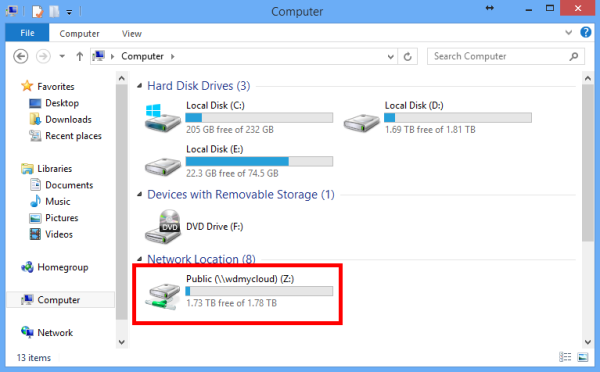 To access and store data on a My Cloud device, mapping one or more shares is recommended. 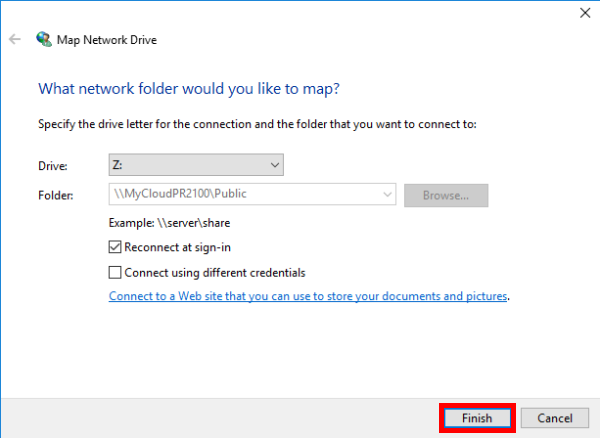 This section contains detailed steps to help map a network drive using different methods. For assistance mapping a My Cloud device on a Mac, please see Answer ID 2686: How to map a WD network drive on a Mac. 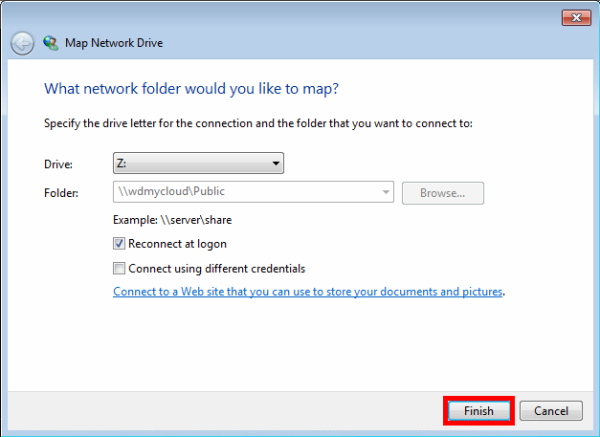 Important: The instructions that follow are standard procedures for mapping a network drive. 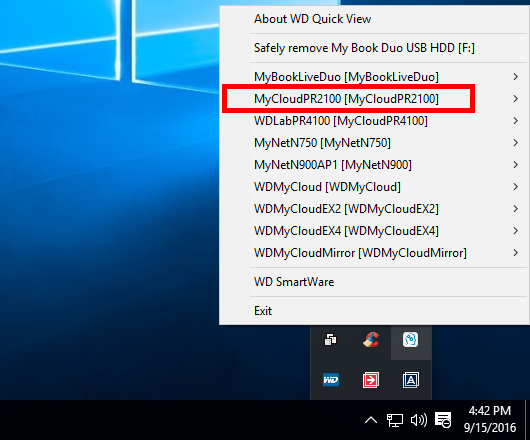 Should any of them fail to work, please see Answer ID 14920: How to check if a WD drive is damaged or defective. 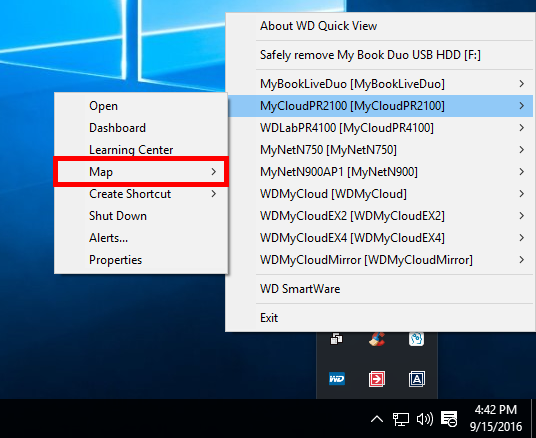 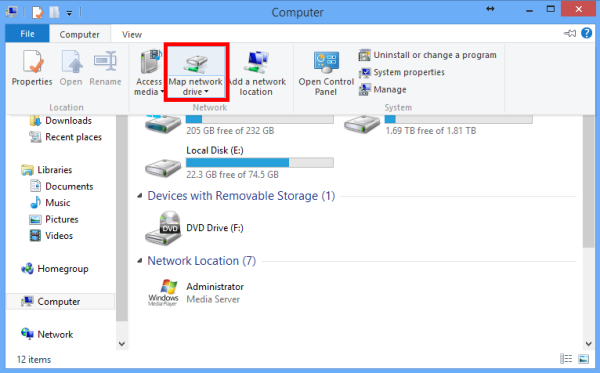 Please select a method to map a network drive from the table above to display that method's instructions. 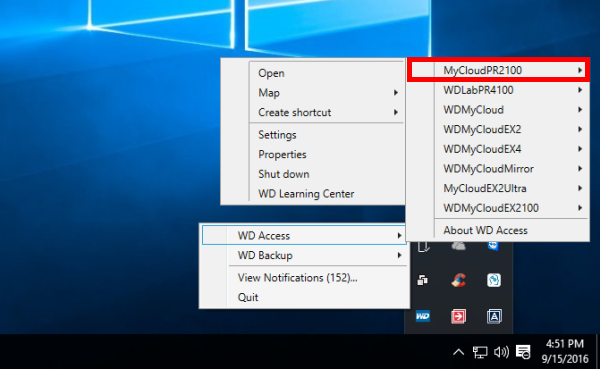 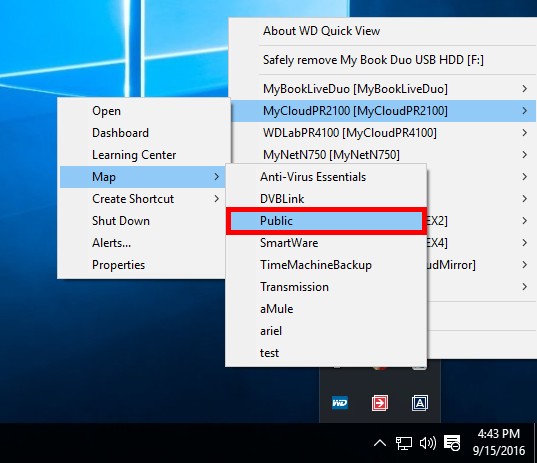 WD Access is a utility that will discover all My Cloud devices on the network for easy access, while providing tools for uploading files, accessing the My Cloud dashboard, and other shortcut features. 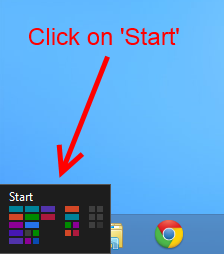 On the Desktop of the Windows 8 computer, move the mouse to the bottom-left corner of the screen and click on the Metro Start Screen. 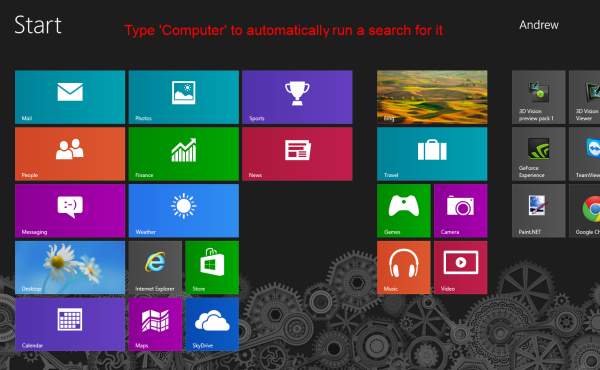 On the Metro Start Screen, type Computer so that an automatic search for Computer goes through. 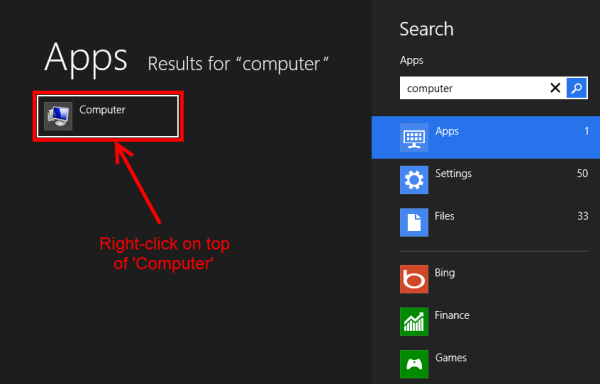 Computer will appear as a search result, under the Apps search category. Right-click on top of Computer. 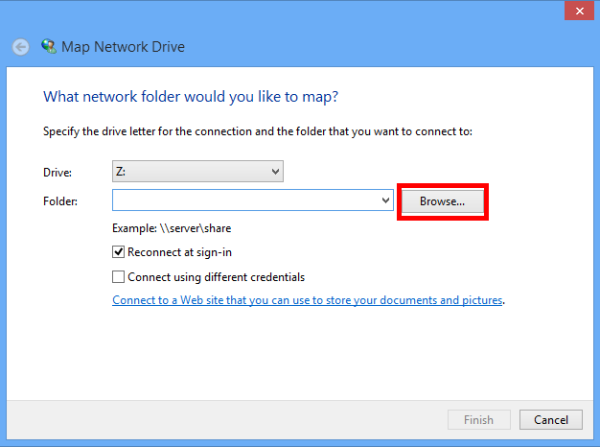 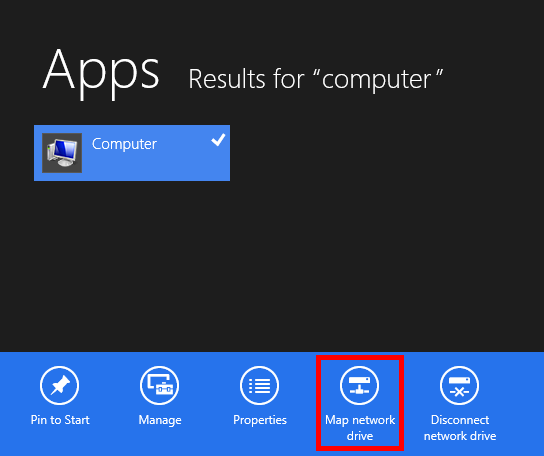 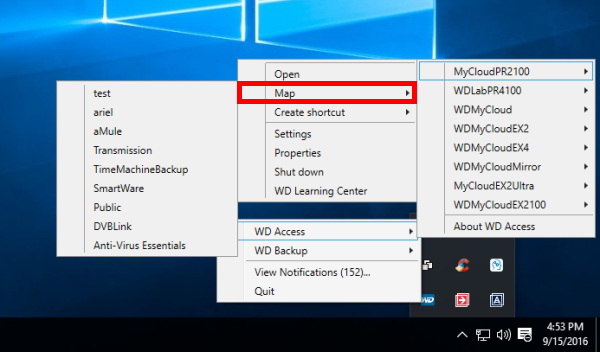 From the list of options, click on Map network drive. 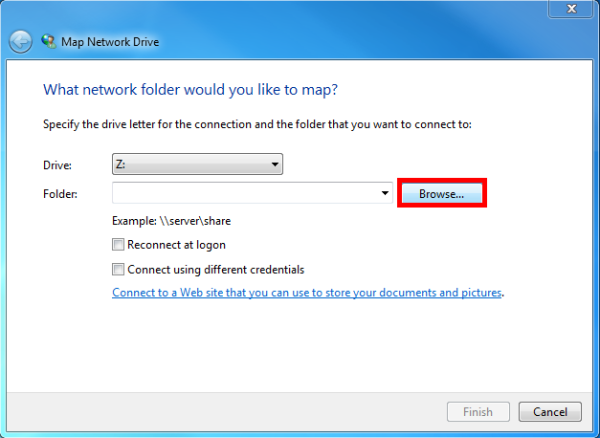 Search for, and expand, the desired network drive by clicking on the small arrow to the left of its name. 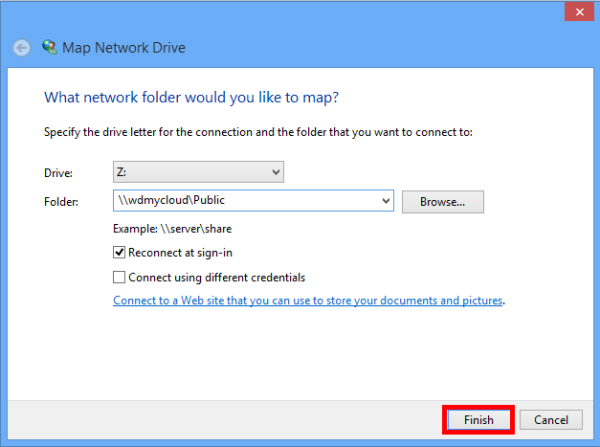 Then, select the desired Share of that network drive and click OK.
Now that the desired Share has been selected, click on Finish. 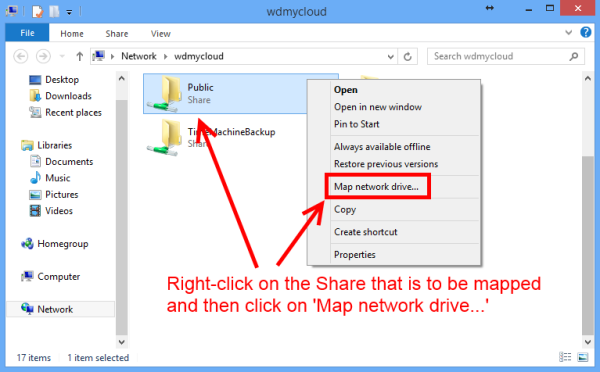 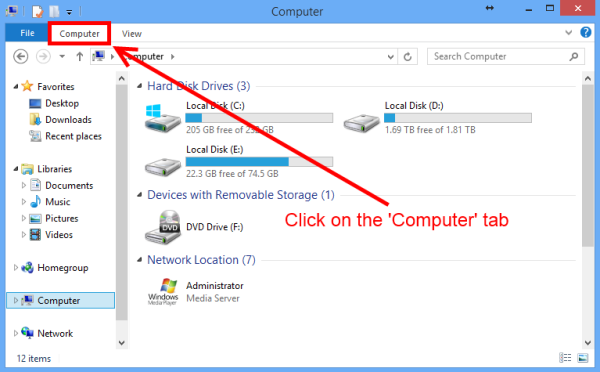 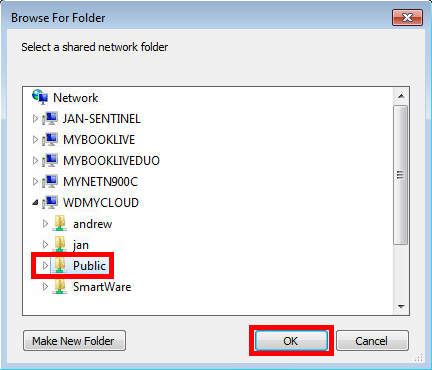 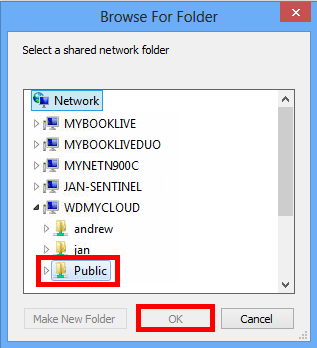 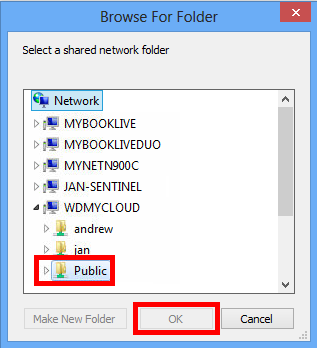 The process is now completed, and the selected Share will now display with an assigned drive letter on the Computer area. 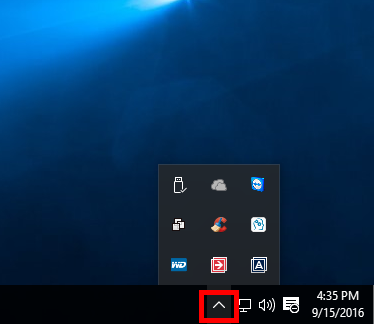 On the Desktop of the Windows 8 computer, click on top of the File Explorer icon. 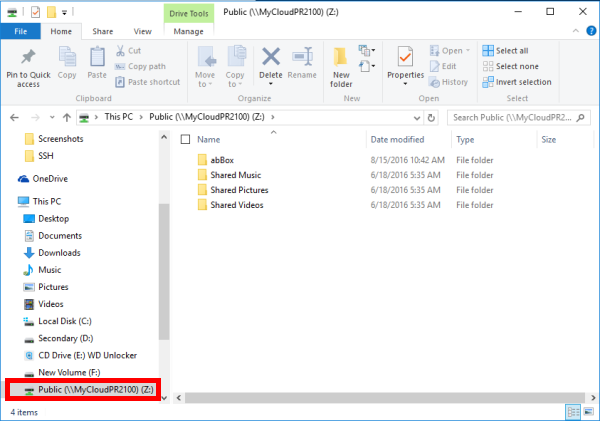 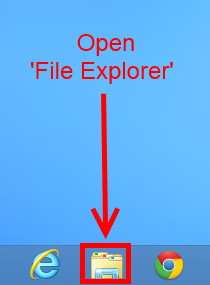 When File Explorer opens, on the left-side panel, click on Computer. 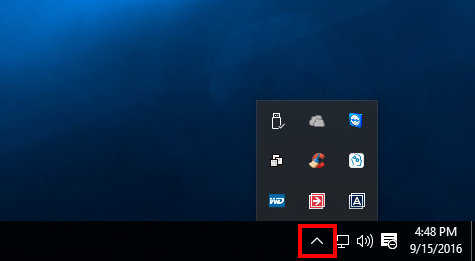 Once there, on the top-left corner of the Computer area, click on the Computer tab. On the displayed options, click on Map network drive. 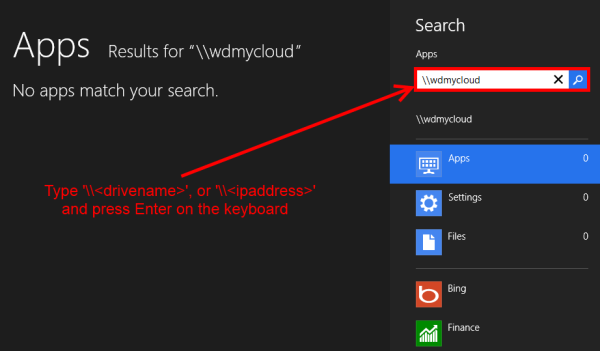 On the Metro Start Screen, type \\drivename (for instance, \\wdmycloud), and press Enter on the keyboard. 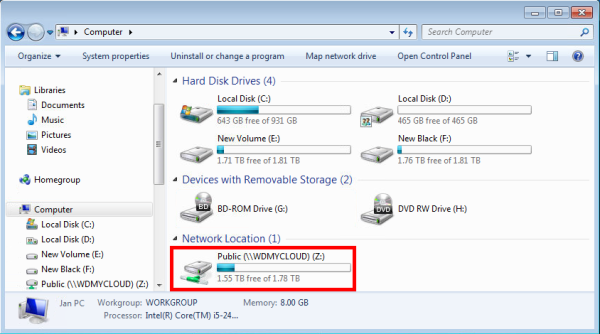 Alternatively, the IP address assigned to the drive can be used as well (For instance, \\192.168.1.50). 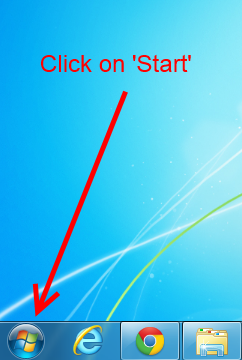 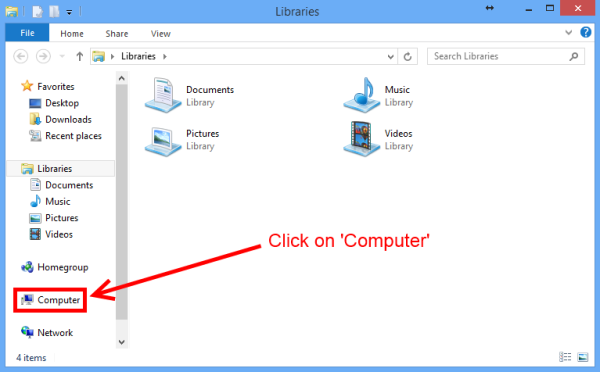 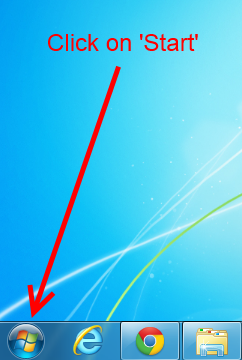 On the Desktop of the Windows 7 or Windows Vista machine, move the mouse to the bottom-left corner of the screen and click on Start, which is indicated by a Windows logo. 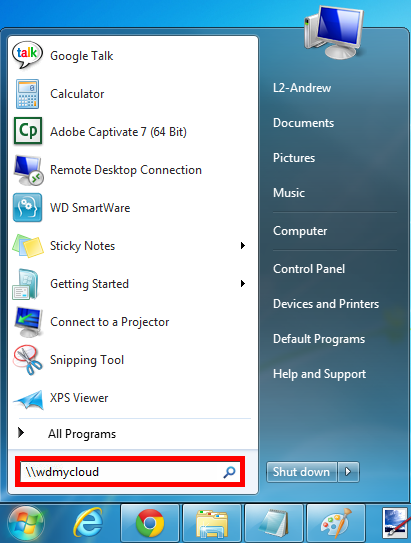 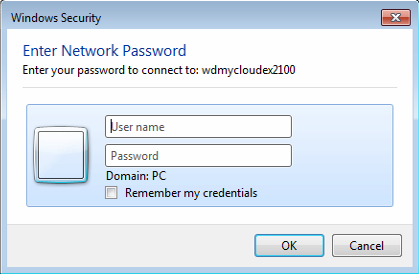 On the Start Menu, type \\drivename (for instance, \\wdmycloud), and press Enter on the keyboard. 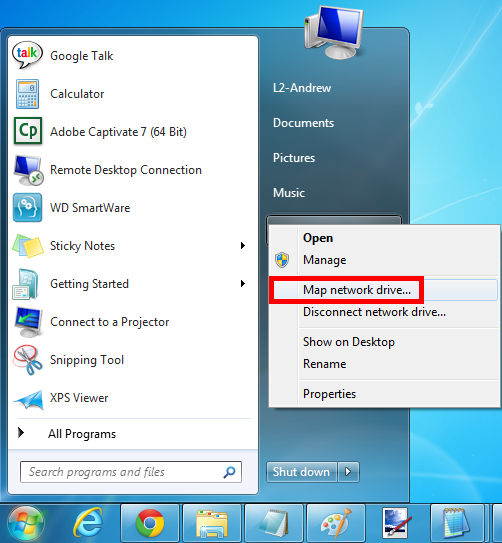 Alternatively, the IP address assigned to the drive can be used as well (for instance, \\192.168.1.50). 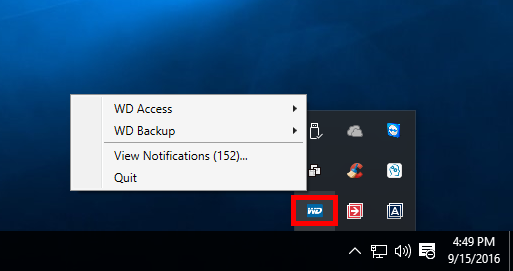 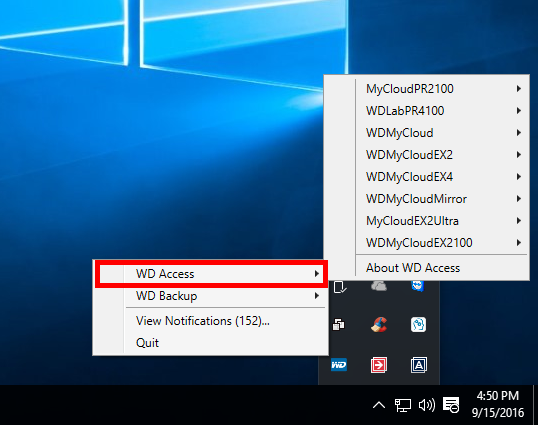 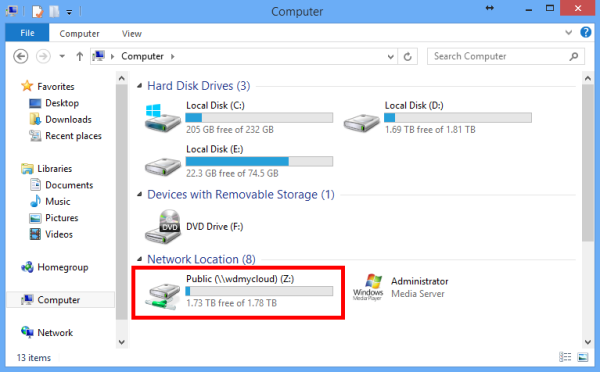 WD QuickView is a tool that assists in monitoring and usage of WD drives. For assistance finding or installing WD Link, please see Answer ID 8572: Installing WD Link in Windows. For help mapping a drive letter using WD Link, please see Answer ID 8573: Mapping a drive letter on a WD Network hard drive using WD Link.